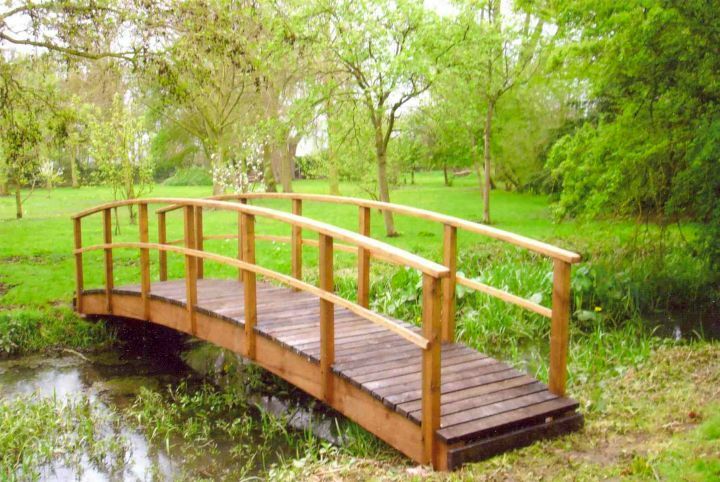 Having a garden bridge is necessary when your garden have a pond or even run through a small creek. 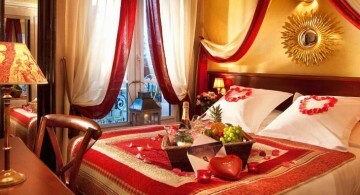 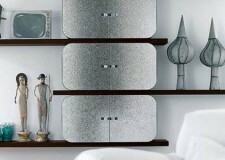 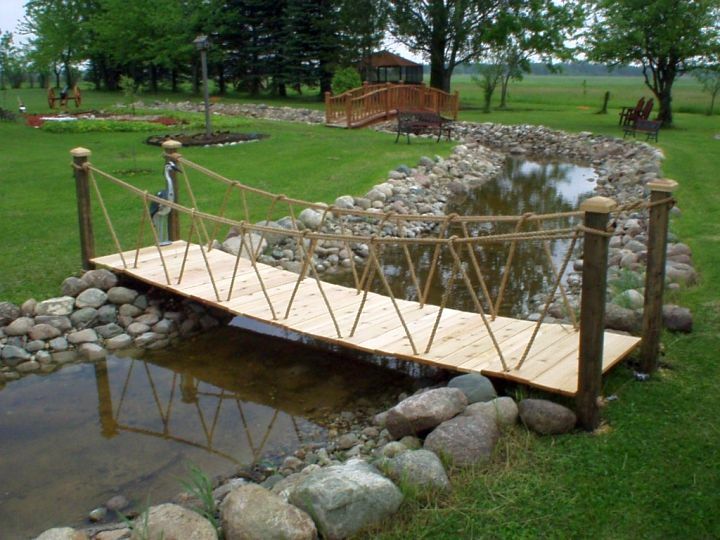 But don’t take bridges lightly, cause it can be a real aesthetic item. 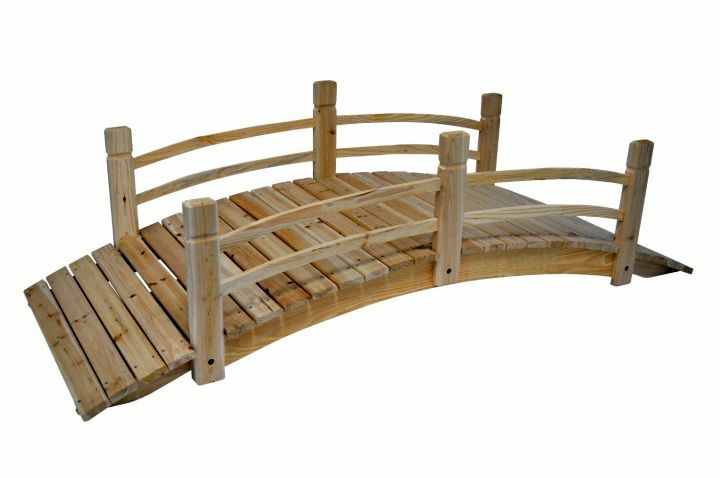 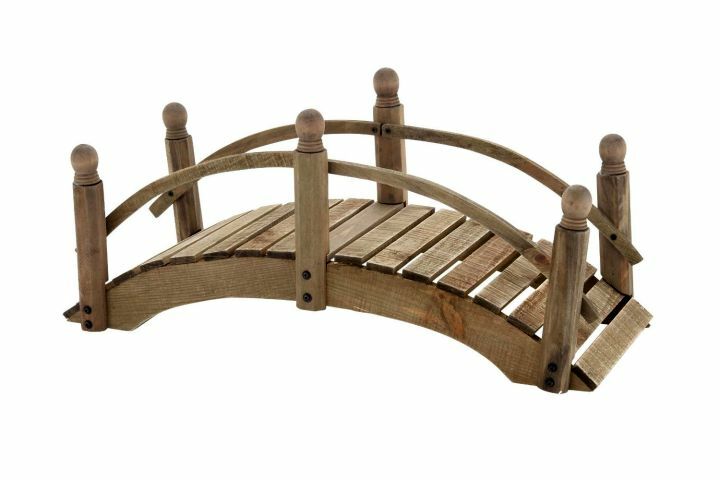 You can have your garden bridge with or without railing, or play around with the material. 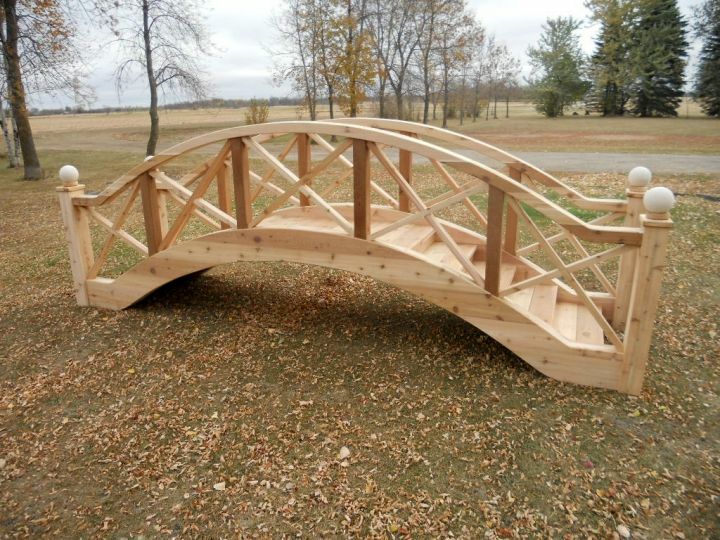 Making it flat or arched. 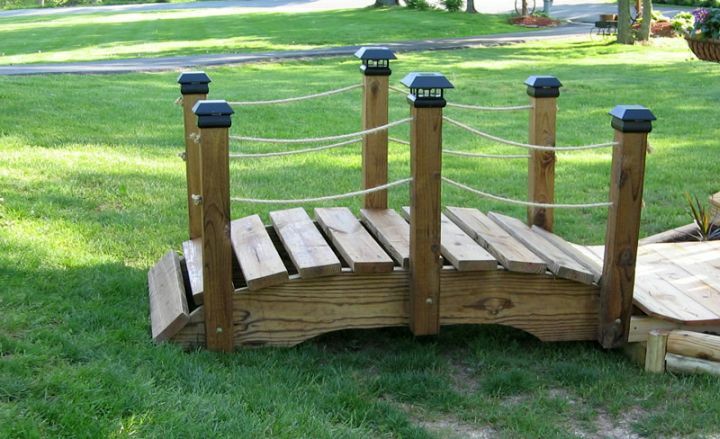 Feel free to play around since big chance you have to compromise on the size. 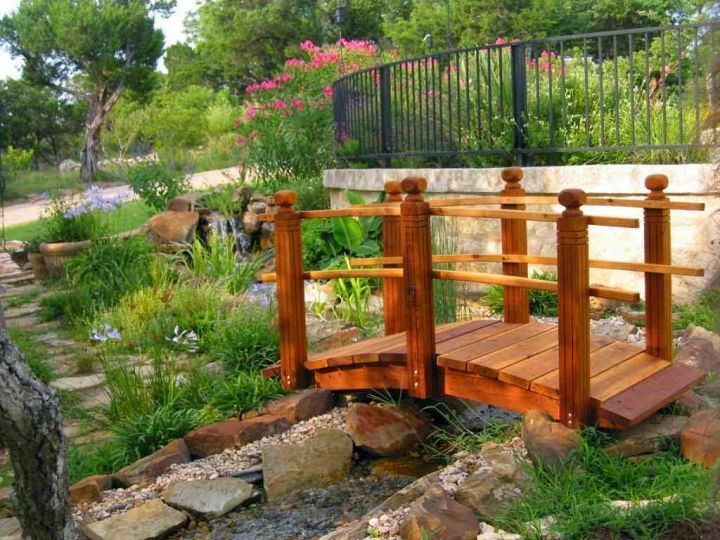 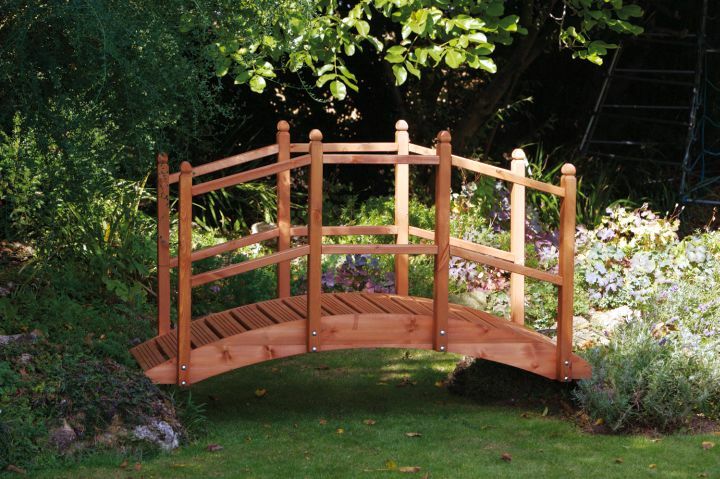 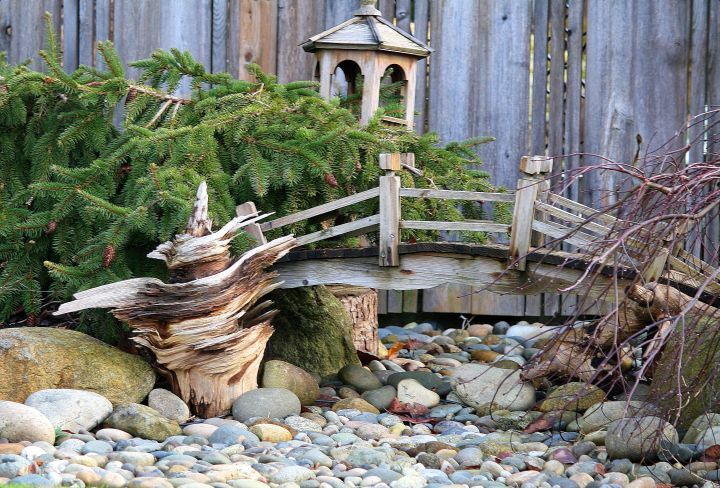 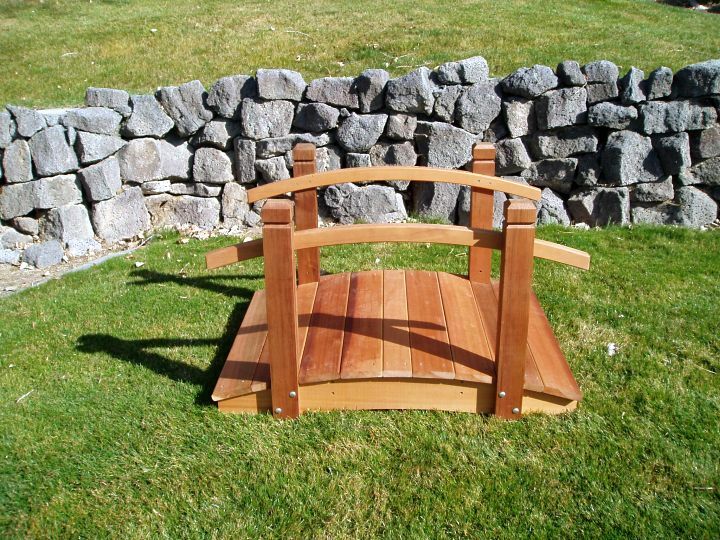 But a well balanced garden bridge will heighten your overall garden look. 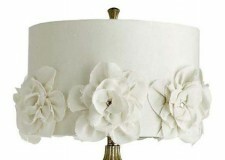 One of the most popular designs. 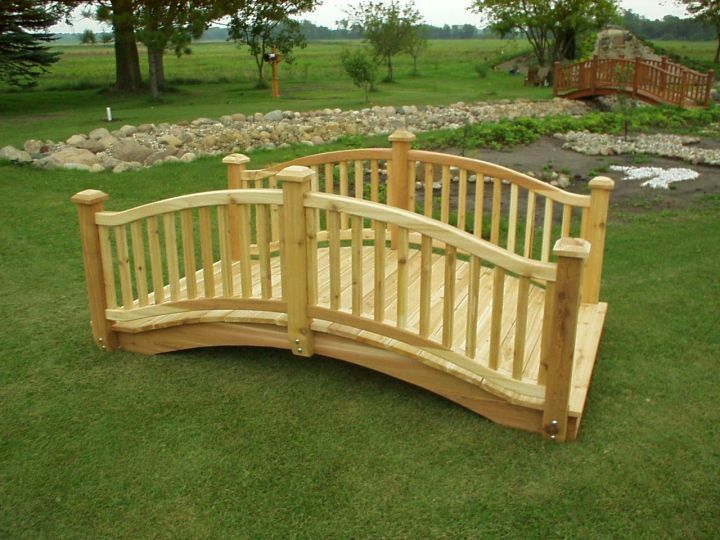 As this low arc style works best for all garden size. 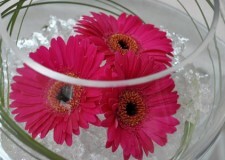 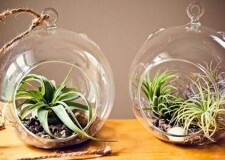 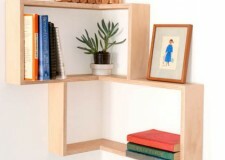 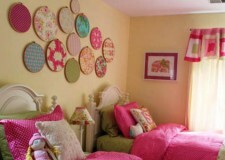 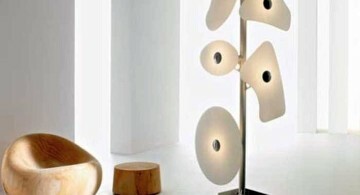 Not only that, the almost flat shape makes it easy DIY project if you want to make one. 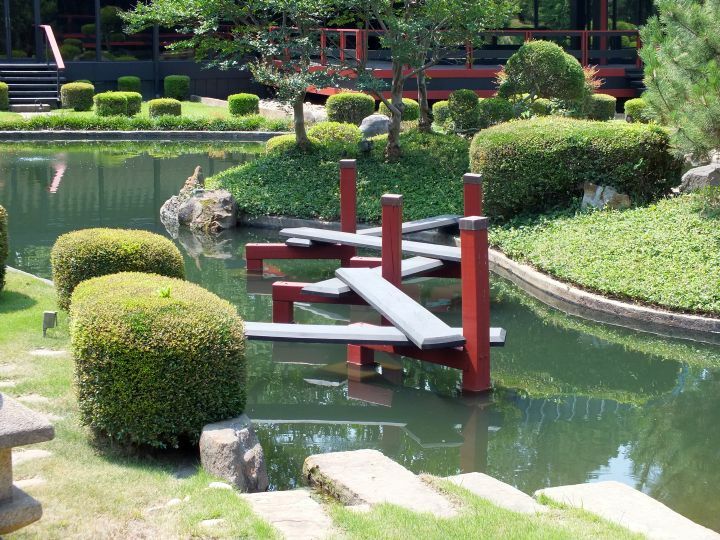 Mostly you see this is bridge in a Japanese garden. 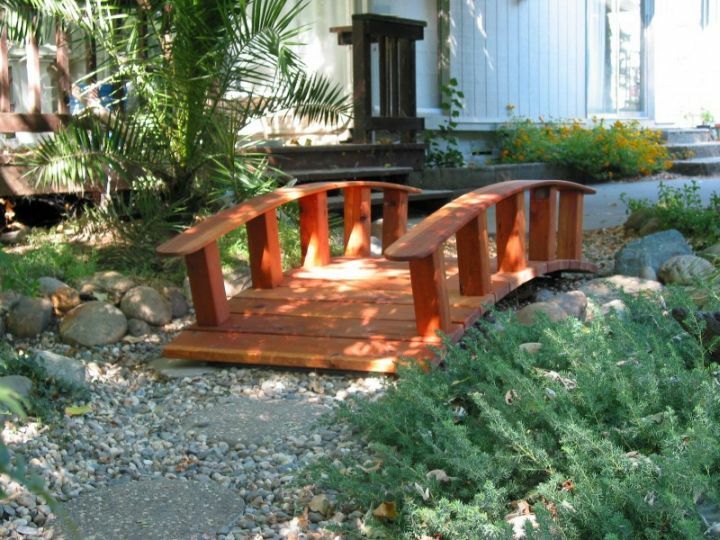 This is simple to make, and works really well if your garden have a small but deep creek passed by. 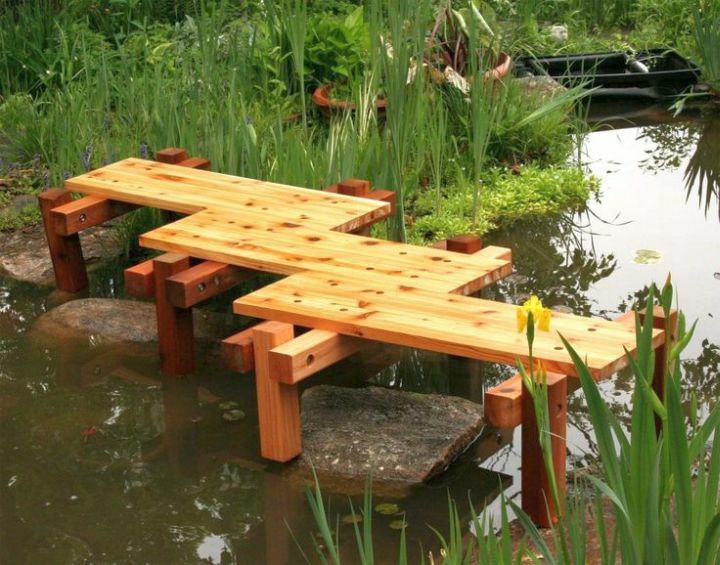 Or if you create a pond in your garden and want to make it simple. 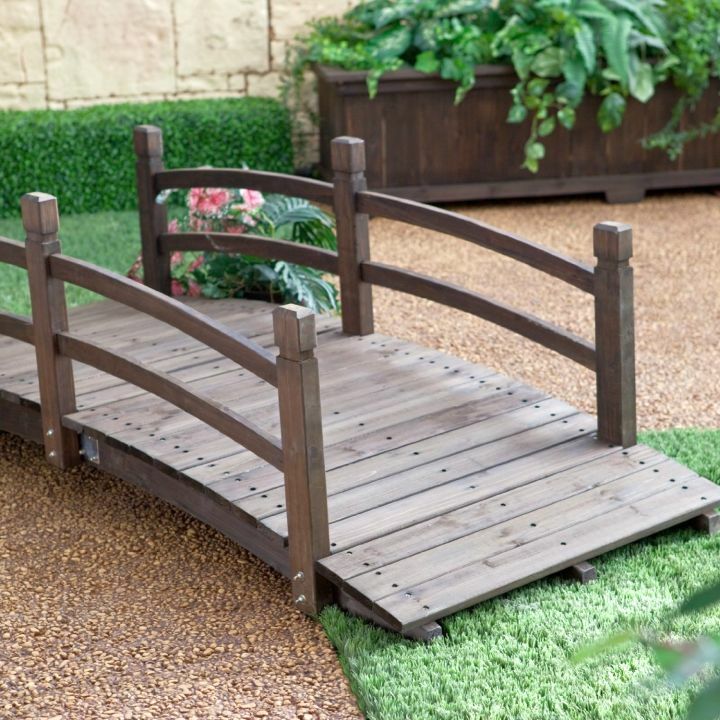 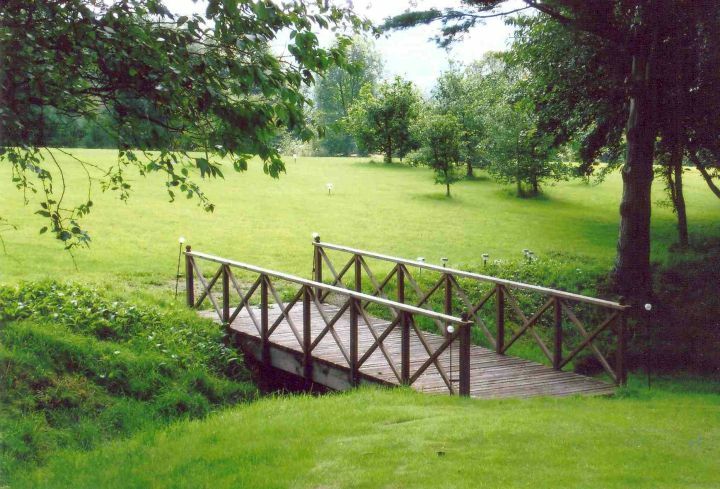 Having a flat bridge like this works really well if you have a very spacious garden. 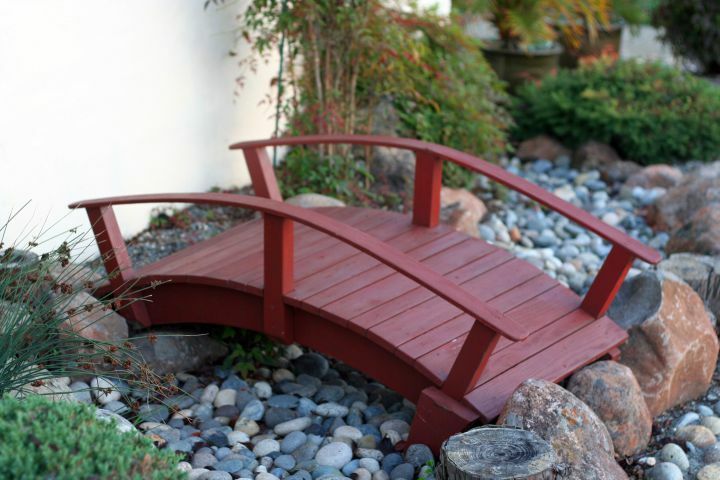 Or maybe as the pathway to cross your large koi pond.